At Between The Bread, we’re always about helping you build a better lunch, which means making sure we have seasonally fresh items to include on our menu. But with winter rapidly approaching, available fresh, locally grown foods can be hard to find. Thankfully, this is where members of the winter squash family come to the rescue. They may possess tough, ugly skins – and come in odd shapes and colors – but underneath those rough exteriors lie a sweet, nutty and nutritious flesh that can make any dish feel more warm, homey and satisfying to the core. Best of all, winter squash varieties are in season right now, and locally sourced; all the more reason we nominated winter squash to be our December vegetable of the month. On the healthy end of the spectrum, winter squash are an excellent source of immune-supportive vitamin A and vitamin C. They’re also a very good source of dietary fiber, vitamin B6, manganese and copper as well as potassium, vitamin B2, folate, vitamin K, pantothenic acid, omega-3 fatty acids, magnesium and niacin. We already know that this food provides key antioxidant and anti-inflammatory benefits, which helps reduce risk of most cardiovascular problems and is beneficial for prevention of cardiovascular disease. The squash can also be beneficial in strengthening the immune system, preventing cancer, and aiding the symptoms of diabetes. Historically, winter squash have come a long way since they were first developed from the wild squash growing in the fertile region between Guatemala and Mexico, some 10,000 years ago. Squash were actually first cultivated specifically for their seeds – since earlier fruits did not contain much flesh. 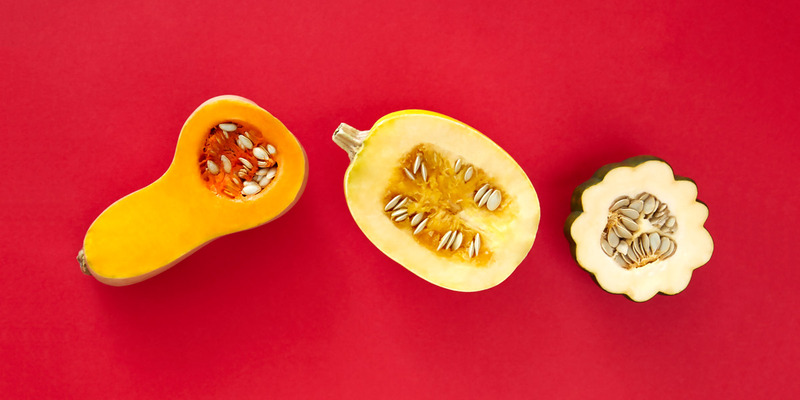 Early farmers experimented with cross-breeding numerous squash varieties, eventually producing a greater quantity of sweeter-tasting flesh that we enjoy today. Down home comfort and naturally derived nutritional goodness are right inside our eatery doors. So come on in and see for yourself all the delicious ways we’ve incorporated winter squash into our December menu. Spoiler alert: Did someone say Butternut Squash Mac & Cheese?